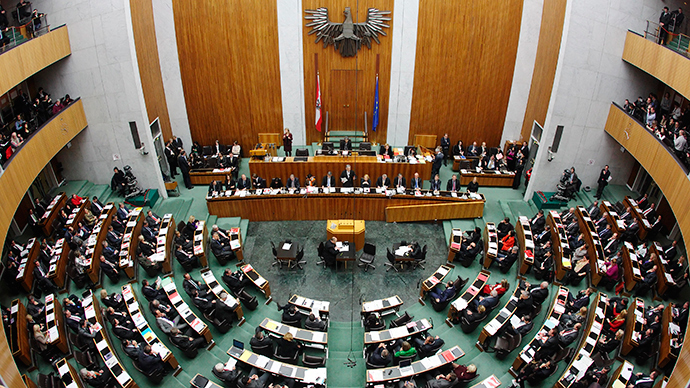 Over 260,000 Austrians have signed a petition calling for the EU exit for the country, and now the Austrian parliament must discuss a referendum on the issue. Overall, the 261,159 people who signed the petition represent 4.12 percent of the electorate. The petition was most popular in the regions of Lower Austria (where 5.18 percent of potential voters signed it) and in Carinthia (4.85 percent). The threshold for calling a debate on a potential referendum is 100,000 people. The petition was launched by 66-year-old retired translator Inge Rauscher, who composed a similar petition in 2000. On that occasion, it was signed by 3.35 percent of the electorate. Rauscher told The Local that there was probably more support for a referendum now because of the economic crisis and the Greek crisis. Austria is one of the most well-off EU countries, with only 4.3 percent of unemployment in 2012, the lowest figure in the bloc. Austria is also one of 11 richest countries in the world in terms of GDP. A similar referendum is planned for the UK. It is scheduled to take place before 2017, although the exact date has not been named with any level of clarity. The latest opinion polling by YouGov suggests some 38 percent of Britons want to leave the EU, while 44 would prefer to stay. The first time David Cameron promised to hold the referendum in 2013, it triggered opinion polling on the same issue in other EU countries. Denmark was 52 percent supportive of staying in the EU, although 47 percent of Danes wanted a review of the country's membership terms. In Ireland, two-thirds of respondents said they would prefer to stay.